You do not have to make a very detailed statement. These explanations will be made in the following sections. We just write a paragraph summary stating what you intend to do with this application. The area where autistic students were communicating with schools was scanned, interviews were held with teachers of parents and autistic students. The mother education program was prepared, the need analysis forms were distributed and the necessary issues were identified. Family education was prepared as 14 session. Participants in the sessions included special education teachers, guide teachers, academics, educative mothers who had been educated with autistic mothers. Sessions were enriched with social activities and social sharing. During the work, the children participated in every session and activity with the parents, and the families were admitted and normalized. At the end of the work, the sharing and solidarity of the families with each other was the most effective and exciting result of the work done. When Implemented: When can this application be used? Step-by-step introduction of preparations and implementation studies for the realization of your event. Detailed information about the activity to be done. 6.Working with social activities and sharing was supported for sharing and strengthening of friends. 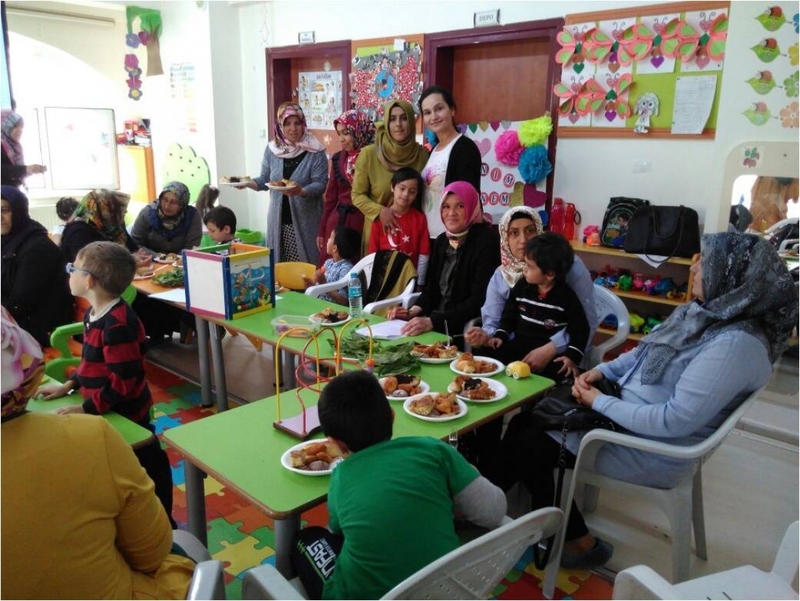 When 7.Program ended, the consciousness, knowledge and acceptance levels of the families participating in the work increased, the developments in relations with their children were clearly seen, and most importantly the families supported and empowered each other. Communication and solidarity with each other of the most beautiful ending families of 8. How many teachers should be, what materials are needed, what kind of an area is needed, an activity for fusing should be given how many students are required. What are the problems you think you may encounter / encounter while implementing and what are the things you need to do to get over these problems? Your work may be a personal web page that you share, and if there is no such page, your school's internet page should be written. A picture of the activity should be added here.